INTERVIEWER: Readers very often call your stories parables. Do you like that description? 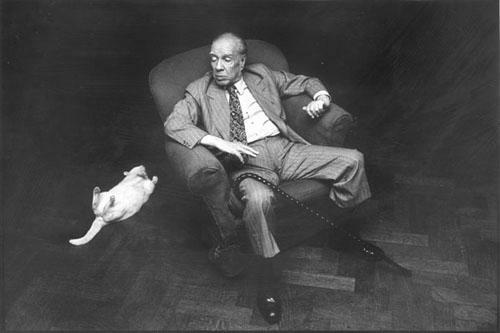 BORGES: No, no. They're not meant to be parables. I mean if they are parables . . . [long pause] . . . that is, if they are parables, they have happened to be parables, but my intention has never been to write parables. INTERVIEWER: Not like Kafka's parables, then? BORGES: In the case of Kafka, we know very little. We only know that he was very dissatisfied with his own work. Of course, when he told his friend Max Brod that he wanted his manuscripts to be burned, as Virgil did, I suppose he knew that his friend wouldn't do that. If a man wants to destroy his own work, he throws it into a fire, and there it goes. When he tells a close friend of his, “I want all the manuscripts to be destroyed,” he knows that the friend will never do that, and the friend knows that he knows and that he knows that the other knows that he knows and so on and so forth.